The UV SPOTCURE SYSTEM 5000 mW's 5,000mW/cm2 of initial ouput delivers a peak intensity of 365nm and the maximum energy for spot curing UV adhesives, inks or coatings. 5mm x 1m liquid filled light guide incorporates a dichroic reflector to reduce IR build-up. Vertical bulb orientation produces maximum output and extended bulb life. No tools are required to open lamp reflector assembly for reduced downtime. 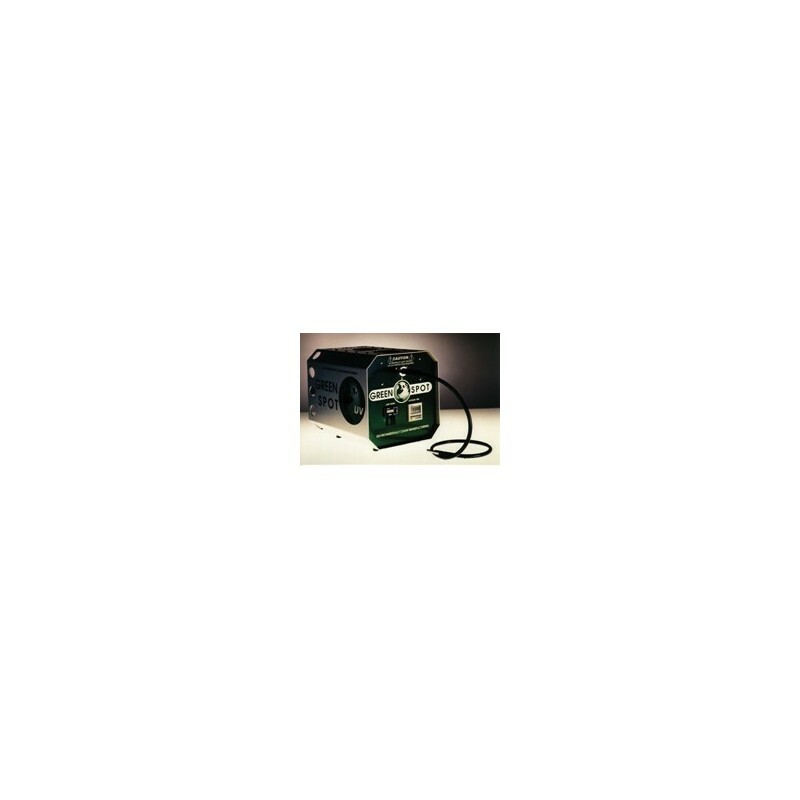 Digital shutter timer with foot switch permits hands-free operation. While lamp intensity of this system starts in excess of 5000mW/cm2, over the life of the lamp this intensity degrades to 40% of initial output after about 1000 lamp hours. This is a standard characteristic of all arc lamps. Since most UV chemistries need less than 1000mW/cm2 of UV to initiate proper photoinitiator reaction, the 2000mW/cm2 of power towards the end of the lamp life is more than twice that needed to provide proper UV cure. 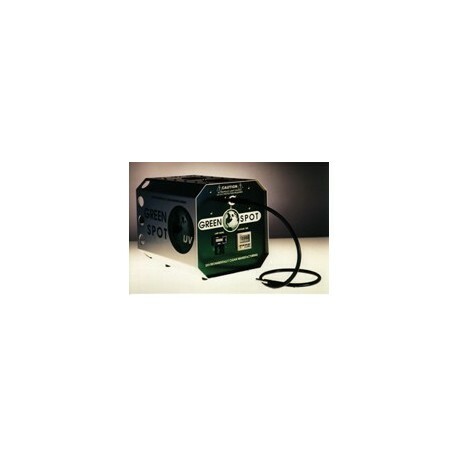 Solid-state power supply includes bulb life hour meter, and temperature controlled dual cooling fan system. Compact, anodized enclosure has a footprint of only 9.75" x 12.5". Total weight: 12 lbs.